The people of Debsi under Thimphu Dzongkhag contributed millions to construct a motorable bridge in 2007 but five years down the line the community is faced with a bridge that is falling apart and a total lack of transparency over the budget. Members of the public in Debsi who talked to The Bhutanese allege that the committee including the former Gup Kanjur has misused their money. They want the accounts and expenditure of the bridge to be made transparent but have not had any success in convincing the former Gup and his committee. He, however, could not take any action as he was not aware of the previous accounts and moreover he had no access to it. “If government fund was involved then the government would scrutinize and check the account for transparency,” said the new Gup. “There was no action taken for since the fund collected to build the Bailey bridge was completely public money,” said the Gewog Administration Officer (GAO) Ugyen Pem. Debsi community members say that back in 2007 Nu 500 was collected per decimal from an area that covers 186.54 acres for the bridge construction. This was from 228 thram holders in the area. The current Gup said that by his estimated calculation the amount collected then should come to Nu 9.2 mn or 92 lakh. The former Gup Kanjur claimed that only Nu 4.2mn was collected and that in fact Nu 35,000 was owed to the contractor who built the bridge. The former Gup also claimed that at the time there were not as many landowners. He said the amount left after the constructing was used in maintaining a 6 km farm road in Debsi chiwog, heading towards the local Lhakhang. However, a cost estimate done by the Construction Development Corporation Limited shows that the 100 meter bailey bridge should be Nu 2.3 mn which is around half the amount what Gup Kanjur says was collected and four times lower than what the current Gup Ugyen estimates was actually collected. On being quizzed about the exact construction the former Gup claimed that he could not remember the figures. The current local Chiwog Tshogpa of Debsi, Dorji Wangdi said that there should be some transparency and people should be informed about their contribution and the accounts. Resident point out that the bridge is derelict, with the planks of the bridges being worn out and huge holes developing. “There is a strange creaking sound when we cross the bridge, it is very risky and will one day take lives,” said a villager who wanted to remain anonymous for fear of offending the committee members and the former Gup. Debsi residents are also worried that the entire bridge may collapse cutting off the community. “During the apple season many truck loads of apple have to be transported and so we are quite skeptical of how long the planks of the bridge will last,” said the local Tshogpa. Also a large number of school children walk through the bridge every morning and evening which exacerbates the tensions in the already tense Debsi community. Residents collected money and renovated the bridge on three occasions but this still has not helped much. “Every three days we maintain the bridge by fixing a couple of wooden decks on the decrepit planks of the bridge, “said the Proprietor of School of Culture and Language Studies (SCLS) Tashi Wangchuk located in Debsi. He added that, everyday around 40 cars from SCLS travel across bridge in addition to two buses that pass through around six times carrying a total of 72 students. Locals estimate that 500 people cross the bridge on weekdays, which increases to around 1000 people on weekends especially due to the presence of a local monastery and Nye. 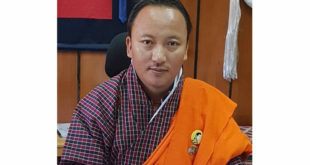 However, Gup Ugyen said, soon the bridge will be renovated using the gewog budget. “If the leftover amount which the public had collected then, was still there, we could have done the renovation by ourselves instead of using government budget,” he said. Five years ago Debsi community used a rickety wooden bridge which was located just beside the present bridge. Former Gup Kanjur said that they put up the proposal in 8th Five Year Plan but the lack of budget became a constraint. He said that in the middle of the 9th Five Year Plan, half of the Chang Gewog was under Thimphu Thromde, so the plan to construct bridge for 28 household was not seen as being feasible. Therefore, the people of Debsi who owned land in the area or were settled in the area collectively contributed money and constructed the bridge. The irons and metal required for the bridge was provided for by the government. In line with this a committee was formed headed by the former Gup and consisting of members like former ambassador Tshering Wangdi, Aum Sangay, Jigme Drukpa (not the singer), Major Pem Tshering (not the AWP case one), and the then Gewog Tshogpa. Villagers said that it was not clear to them on what the role of the committee members was, but the main implementer would have been the Gewog office. The former Gup said that to have transparency and accountability, people should come and ask their own elected committee members. A Debsi resident said “the request of the community who asked for the total cost of expenditure was not listened to”. The Former Gup also said that till date he had not received any formal complaints. He claimed that out of 228 thram holders, 11 of them still did not pay for the bridge and had never turned up even after a several reminders. “Without the knowledge of committee I cannot name them since it would be personal and we are interdependent on each other,” said Kanjur. He said that during his tenure he asked Debsi community to do something to those who failed to pay the money but Tshogpa (committee) who were high ex-officials failed to attend the gathering. 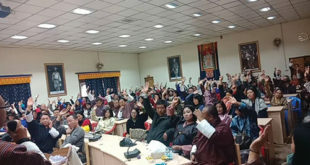 The former Gup said that around four acres of land will come under Thimphu Dzongkhag and another seven acres is reserved for Dratshang Lhentshog. An eminent legal expert and member of the judiciary said that currently there is no specific law in Bhutan that makes it incumbent on the local government to share information on such projects. He said that though the constitution grants a citizen the fundamental right of Right to Information the absence of clear legislation has made such a right ineffective. “It is only something like the Right to Information Act which could have made the former Gup and committee accountable to the public,” said the legal expert. 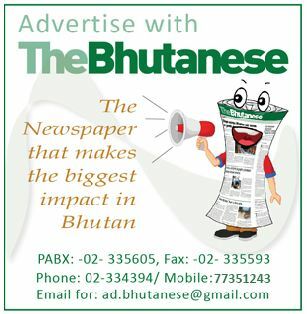 Across Bhutan, villagers and farmers face similar problems with out transparency in such cases. It is understood that the Dzongkhag Administration has secured funds for infrastructure development. However, the land owners have to agree to the plan prepared by the dzongkhag. It is frequently mentioned in the gossiping sessions that a few big land owners are blocking the plan for the reasons best known to them. For a place like Debsi where there is a potential to have a planned posh area a plan and budget is inevitable. If the apple transporters or users of heavy vehicles by owners are damaging the bridge then they have to also build it. Who is going to bell the cat? However, in a democracy people must raise their voice and let all the users pay for the services. The local government is responsible for the development and they should take the professional help from relevant agencies and move forward. Some villages in remote areas are without even proper drinking water and school or BHU. Here you are talking of bridge?? ?It is a luxury and looking at the people who stay at the other side of the bridge one feels that they can do without bridge or even can build bridge themselves. If you are talking about a bridge made by RGOB funds than I would agree with you, however, in this case, the bridge was constructed from funds contributed by the land owners of Debsi, so I don’t find anything wrong when they want to find out how their money was spent. So, if you have nothing positive to say, please at least, refrain from making such caustic remarks. The monk what do u say? Land owner of Debsi are public and the fund raised by them should be public to them if am nt wrong. 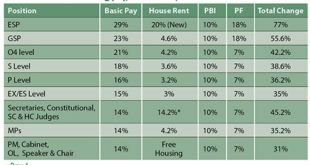 It may nt be right to spent public fund with out proper accounting. What you have is written is exactly what I have said. Yes, such practices exist in every corner of the country, why not here in the capital too. Because, here most of the land holders are well off family and don’t care much and few poor farmers wont be bold enough to open their mouths. So what ? Cunning village heads or smart guys use their best ideas to explore incomes from such kind of activities for their lavishly living life. Just my view what others say? Yes, millions and billions gone,, no one is accountable,, the PM and ministers should support RTI.. but they themselves are drown in corruption. who said the bridge is 100m long? must be 40m at most. And I heard the bridge does not have any environmental clearance. could be wrong. The bridge is definitely not 100 meters long, just shows the shoddy work of this reporter.